The Rt. Rev. Deena Butta passed peacefully into Spirit World on Sunday, 27th January, 2013. She has been one of my greatest friends since 1993, when we attended the Centennial Parliament of Religions in Chicago. Since then she produced the FOI Liturgy with consummate grace and skill, thus preserving the very meaning of our Manifesto with its emphasis on the Eternal Verities of Love, Beauty and Truth. Her husband and priest Ray, helped her in all these undertakings. I do hope that the Rev. Demetria Nanos will continue Deenas work for her Fellowship of Isis Lyceum and Iseum as she has so ably helped Deena in the past. All or members who knew Deena respected her honesty, kindness and integrity. I feel sure that she is truly happy now with her son Maris who is now with her in Spirit Sphere, Realm of Truth and Goodness. Note from Fellowship of Isis Central website manager, Linda Iles: I received this tribute to Deena Butta directly from Olivia Robertson via snail mail and have shared it with other FOI related sites. The letter was received February 6th, and posted to Isian News on February 6th. Afterward, an e-mail was sent out to the managers of the other sites. A tribute to Rt. Rev. Deena Butta of FOI Chicago was published on the Fellowship of Isis Central blog: Dulce Domum, Deena Celeste Butta. It was posted on Monday, January 28, 2013, and written by Linda Iles, ArchDruidess and Hierophant. Deena participated in Theosofest during July, 1992 which took place in Wheaton, Illinois. This was an annual gathering of the world's religious and spiritual groups for a weekend of sharing. She attended again on June 13, 1993. In 1993, at the Parliament of World’s Religions held in Chicago, Deena was included in the Fellowship of Isis Procession. Deena also took part in the FOI Mystery play “Judgement of Osiris” known in the FOI Liturgy books as “Judgment of the Earth” that was presented at the Parliament. She performed an Egyptian Dance as part of a presentation during the FOI workshop. Later in the event, Deena was consecrated as a Hierophant, with Olivia acting as Priestess and then ArchDruid Isaac Bonewits (now ArchDruid Emeritus) and founder of Ár nDraíocht Féin, acting as Priest, with Ruth Dillon assisting as Priestess of Isis. Deena’s husband Ray Butta was ordained into the priesthood at this time. During the Parliament activities, Deena and Olivia participated together in an interview for local Chicago Radio. FOI Co-founder Olivia Robertson wrote in 1997: "The Rev. Deena Butta has taken part in an important “Day of Prayer, A Search for Vision,” co-sponsored by the Friends of the Parliament of World Religions and Monastic Interreligious Dialogue. Olivia participated in one of these Dialogues, between Buddhists and Christians at the Parliament (of World Religions, 93), including H.H. The Dalai Lama. The organiser of the Day of Prayer was Father von Duerbeck, OSB. As usual the FOI gets a look in at these ecumenical meetings, possibly because of the prestige of the Ancient Egyptian tradition! The programme involved Hindu, Islamic, Jain, Thai Buddhist religions and the FOI, represented by Deena. Deena’s work is greatly assisted by our member the Baron von Huber, Grand Knight Commander of the Order of Tara, who works tirelessly for the world ecumenical movement." Deena offered classes and workshops throughout the year, besides hostessing Olivia Robertson for a week every September and a week in October in Chicago. A reception was always held in Olivia’s honor, followed by the Equinox Goddess Festival, sponsored by Deena’s lyceum. Deena was a member of the ArchPriesthood Union, the ArchDruid Union and Grand Commander Union, which form the FOI Foundation Union Triad, joint custodians of the legacy of the Fellowship of Isis. She was also registered as a legal minister through the Temple of Isis in Geyserville, California. Deena participated in various radio and TV interviews representing the Fellowship of Isis, including a segment of the TV program, “Friday the 13th” which aired on March 12th, 1997 on the Arts and Entertainment cable network as part of a series on “The Unexplained”. She also served as a member of “United Communities of Spirit - A Global InterFaith Initiative” in which she represented the Fellowship of Isis. In her professional life, Deena was a Reference Librarian. She attended the Graduate School of Library and Information Science, she was an Alumna of Northwestern University and a member of the President’s Honor Roll, Class of 1978, Regina Dominican University. Deena had been employed at the Glenview Public Library in Chicago since 1997. She was an expert on Genealogy. Deena provided guidance and instruction in genealogical research and taught internet classes in this area. She also annotated new reference books for staff at her workplace. Her thorough research and careful attention to detail carried over beautifully into her work as a Priestess in the Fellowship of Isis.Dulce Domum, Gentle Priestess. Priestess: (Invocation) Divine Isis, Who doth hold the Ankh, Sign of Life, have pity on our human weakness. We all fear death. There is no creature that will not fight for its life! The most terrible calamities that befall us are yet more acceptable than their ending through even the quickest death. We dread the loss of ourselves, our own consciousness, of all that we know. When we grieve for those who die, truly we fear for ourselves! Thou Who didst shed Thy tears for Thy dead husband Osiris, and Who brought Him to everlasting life, bring us true knowledge. Oracle: Know that your very love of life, of your own selves, is a surety that you live forever! It is only the body that perishes. Therefore those who dread death the most are those who enjoy life the most! And in that very enjoyment is your salvation. If you see death as an unpredictable but inevitable disaster in the future, soon or far ahead, you naturally dread a sudden end to all you love, a stop to your own individual consciousness. But in verity you can experience your own immortality now! Eternity may be experienced through two passing seconds of earth time. You can awaken from this dream of worldly life into a greater reality. Only veils of ignorance and unconsciousness divide each one of you from your own Immortal Self. Hence death is sin: sin is ignorance. For when you wrongly think: "I am only the brain; I am the body with its senses" you deny your true self through choosing that which is mortal. Enjoy those delights that belong to the eternal spheres, such as the love and care of each other, of animals and plants: philosophy and religion; the practice of arts and crafts. Thus you will strengthen your spiritual body with the nectar and ambrosia of the Deities. You will learn to participate in heavenly life as your earthly body sleeps. Love, and you are in harmony with Heaven. Be truthful, and you drink of the Water of Life. Laugh, and you laugh with Jove! Weep with compassion, and you mingle your tears with Mine. Remove then the deadening pall of gloom which stifles your earthly funeral obsequies! Death is for the ignorant. Immortality is for those who know the truth! Develop your psychic and spiritual gifts, so that not only will you recognise this "death" as the impostor it is, but you will help others to lose any fear, but rather look forward to participating in heavenly joys. Reunion with those you love is certain. In your originality is your immortality, for nothing that is original can perish. It is an essential part of the cosmic scheme. Manifest your Divine Origin which is born from the Mother of All, Nuit, Whose children are immortal like onto Herself. Nourish then all good gifts in each person and each being and you strengthen the harmony between the Divine Sphere of Heaven with its transient reflection which is this world. There is no death. Love is eternal. Osiris and I are One. So is it with us all. Good morning, everyone, and thank you for coming to honor the memory of a precious pearl of humanity: Deena Celeste Weglarz Butta, daughter of the late Joseph Weglarz and Michaline Pabisinski; loving wife for nearly 29 years to Raymond Butta; proud grandmother to sweet little Michael Butta; and loving mother of three fine sons—Alex, Philip, and the late Maris Butta. My name is Anna Applegate and I am a friend of Deena’s and Ray’s and an ordained priestess in the Fellowship of Isis, an international religious community to which Deena devoted over 35 years of her life, in service to the Goddess, the planet, and harmony between people of various religious traditions. Ray, my heart breaks for you in losing such a treasured companion on life’s journey. Alex, and Philip, my heart aches for you in losing such a remarkable mother, a woman who defined the very essence of selflessness as she opened her heart and home and taught so many things to so many different kinds of people. She was your mother in this life but I felt that she was my mother in spirit, and she exuded such a sense of gracefulness, dignity, and quiet power in everything she did. Please accept my heartfelt condolences on this horrendous loss. In my 12 years of knowing her and especially the past seven years of doing focused, celebratory ritual work with her and my other family members of the Chicago chapter of the FOI, Deena struck me as a person whose consciousness was largely informed by a love of history, and that love made her excel in her career as a reference librarian—with a specialty in genealogy—at the Glenview Public Library, and that love of history also made her an outstanding priestess and artist. As the great poet T.S. Eliot once wrote, “The historical sense involves a perception, not only of the pastness of the past, but of its presence.” For Deena, the past could be gloriously resurrected with pageantry and religious devotion and expressed artistically. For example, from 1982 to 1990, Deena was a member of the Dance Ensemble of Olde Towne Renaissance Consort, so it’s not much of a surprise to those of us in the FOI who have been a part of the annual Goddess Festivals held every autumn equinox, that Deena would devise an elaborately choreographed dance as part of the main ritual event. The choreography almost always involved medieval- or Renaissance-inspired movements, and it wasn’t difficult to imagine Deena being alive during those centuries, delicately hoisting the train of her dress as she methodically traipsed around her dance partner with grace, poise, beauty, and an inimitable stage presence that commanded your attention. Deena had a way of having you notice her without drawing attention to herself, which speaks volumes about her charm, captivating personality, and beauty. That was the first thing that struck me about her. I first heard about Deena in the autumn of 2001, at an event in Chicago called Pagan Expo, which was held at the Irish-American Heritage Center. A mutual friend of Deena’s and mine, a gentleman by the name of Robert (Schultz), gleefully tapped me on the shoulder and asked me if I knew Deena or had ever heard of the Fellowship of Isis, because she was sitting at a vendor’s table with flyers and other materials that promoted the group. When I said that I hadn’t heard of either her or the group, he said I should go over and say hello because I’d “get a kick out of it,” remarking that she and I looked as though we could be relatives—we had the same raven hair in a Cleopatra-styled bob haircut, pale skin, Egyptian-looking eye liner, and a similar air of aloofness. Deena wasn’t out working the crowd at that moment. She was seated at her table, calmly surveying the scene. Poise. Grace. I took my friend Robert’s advice and went over to her table to introduce myself. We do look as though we could be related, I thought at the time. Hey, she’s Polish and I’m Serbian so we’re both Slavic, right? And everybody knows Slavic Goddesses ROCK! And as I would later discover, there was another trait that Deena and I shared and I loved her greatly for it: although she was justly proud of her own Polish culture, Deena really knew herself to be a citizen of the world who sought to understand and explore other cultures. I often ran into her at local pow wows, for example, especially the annual November Pow Wow at Navy Pier hosted by Chicago’s American Indian Center, an organization where my own mother volunteered. A love of Native American spirituality informed Deena’s own ritual practices—offerings of tobacco and smudging with sage and sweetgrass were staples of our FOI rituals. Aside from local pow wows, Deena also took her family to the annual Chinese New Year parade in Chinatown. Deena had a deep admiration for the ancient medicinal and philosophical traditions of China. This cosmopolitan worldview of Deena’s is hardly surprising, given that she graduated from Northwestern University with a Bachelor’s Degree in Anthropology. Furthermore, the first sight that greets you upon entering her beautiful house in Chicago’s multicultural Albany Park neighborhood is a series of floor-to-ceiling bookshelves spanning the entire living room, stuffed to the gills with an amazing array of books, many of which pertain to studies of other cultures or curious tomes of historical, magico-religious, lore. So as a librarian and as an anthropology major, Deena doubly was an incurable bibliophile whose tantalizing bookshelves invited exploration. People who have a fondness for other cultures also usually entertain a willingness to understand the different religious traditions of those cultures, and promote interfaith educational initiatives, and Deena championed that worldview beautifully. 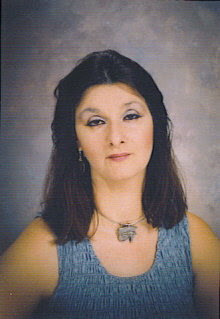 Deena served as a member of United Communities of Spirit—A Global InterFaith Initiative—in which she represented the Fellowship of Isis, but perhaps no moment in Deena’s life expressed her commitment to interfaith education than her involvement in the 1993 Council for a Parliament of the World’s Religions, the largest interreligious gathering in 100 years. While representing the Fellowship of Isis, Deena deftly wove together the strands of her religious faith, love of world cultures, and artistic skills during that celebrated occasion by giving the delegates a presentation on Egyptian dance. And it was during the convening of the Parliament that Deena was consecrated as Hierophant by Fellowship of Isis co-founder Lady Olivia Robertson and the late ArchDruid, Isaac Bonewits. As Archpriestess Hierophant of the Lyceum, Deena was the matriarch who anchored our spiritual family, selflessly devoting her energies as we commemorated the cycling of the seasons with rounds of Fellowship of Isis rituals, dancing, prayer circles, and delectable potluck feasting—all done in a spirit of love and sharing. The annual Goddess Festival the Lyceum of Alexandria produced every Autumn Equinox was an event that Deena poured so much of her heart and creative soul into to ensure a successful weekend event. She tirelessly coordinated a massive theatrical undertaking, with costumes, the memorization of scripts, and, yes, endless rounds of rehearsals—especially for her elaborate dance choreography. And each year, she would sigh with relief that the weekend had passed…and then she’d almost immediately begin planning next year’s festival. On top of that, she offered classes in person and correspondence centered around the Fellowship of Isis Manifesto, and she offered a structured course for clergy ordination. She wasn’t just a one-person theology department, but a publishing powerhouse also, editing and producing the print and digital copies of the quarterly Isis-Seshat magazine, which housed the best literary efforts of her fellow servants to the Muses. That kind of inspirational force is what I’ll always associate with Deena, and she wielded it up until the very last moments of her life. The last physical conversation I had with her was on December 9th, the day after Ray had informed me and other FOI members about her diagnosis of Creutzfeld-Jakob Disease. Prior to my visit, Ray informed me that Deena was losing her hearing and was on her way to losing her vision. She could read what you wrote, though, and reply verbally, so I equipped myself with a notepad and Sharpie marker. I wound up writing questions that Deena would answer verbally. Despite the sense of shock and sadness I felt at seeing her in those stages of neurological impairment, which would rapidly worsen, I was also amazed at her fortitude of spirit and her calm acceptance of what had befallen her. She and I engaged in quite a philosophical dialogue that afternoon—I remember writing the phrase “the Universe is one Big Schoolhouse” on one of the sheets of paper and Deena’s eyes lit up as she read it. “Oh yes, it is!” she exclaimed. “Unending lessons. But I have faith in the Goddess and I have faith in the God.” Then she smiled at me quietly. Yet the world dance did not cease. Cut the cords that bind me. Here is the rite we did at the graveside for Deena Butta on January 31, 2013. This rite was adapted from one that Deena had from a while ago, the we had used as the rite for Deena's son Maris Butta. We were not sure of origin of the rite. Ray Butta, Deena's husband, requested that we use this rite for Deena. GREAT SPIRIT, OUR CREATOR, You give us the gift of life and the grace to praise you. Open our hearts that we may welcome your Spirit anew in our life. Teach us your wisdom and pour into us your gifts of love, joy, peace, patience, kindness, goodness, trustfulness, gentleness and self-control. We look to the EAST, the place where the new Sun rises each morning. This is the direction of hope and of new beginnings. Look down on us from the East, Creator, and pour your Spirit upon us so that we may renew our lives. Almighty Goddess, fill and surround the soul of Deena with the Light of Wisdom and Truth. We look to the SOUTH, the place from where the warm winds come. This is the direction of good friends who help us walk on the Good road of life. Look down on us from the South, Creator, and pour your Spirit of happiness and friendship throughout our life. Teach us the lesson of Generosity that we may serve one another. Almighty Goddess, fill and surround the soul of Deena with Healing. We look to the WEST, the place where the Sun sets as the day fades. This is the direction of changes, of growing and dying. Look down on us from the West, Creator, and give us the strength to face the great mysteries of life and death. Transform our hearts with the gift of Your Spirit so that we may be renewed in Your Great Spirit. Almighty Goddess, fill and surround the soul of Deena with Love. We look to the NORTH, the place from where the cold, harsh winds of winter come. This is the direction of hard times and painful moments that test us. Look down upon us from the North, Creator, and help us to walk in a sacred manner even when times are hard. Give us the spirit of courage to stand up to the pains of life while we hope in the resurrection. Almighty Goddess, fill and surround the soul of Deena with Protection. We look to the SKY, the home of the eagle. This is the place of clear vision that helps us to see far and understand the meaning of things. Look upon us from the sky-world, Creator, and teach us to rise above those weaknesses that keep us from the good path of life. Renew your Spirit in us. Almighty Goddess, may Deena be a shining star in the Heavens; may she be embraced by our ancestors and the angels. We bend down to touch the EARTH, the place from which we come, our Mother who gives us everything we need to survive. Look upon us from all the living things of the earth, Creator, and teach us to remember the great lesson that we are related. Give us the gift of strength to walk gently in harmony with all of life. Almighty Goddess, may Deena carry with her all the good and happy memories of her life on this Earth. GREAT SPIRIT, of all directions, we thank You for giving us Your own Spirit to transform our hearts. Unite us with all the nations of the world so that together we may create a new world guided by Your Spirit. Almighty Goddess, may we all be reunited with Deena one day in a world of peace, within that timeless unity that is the heart of Goddess.